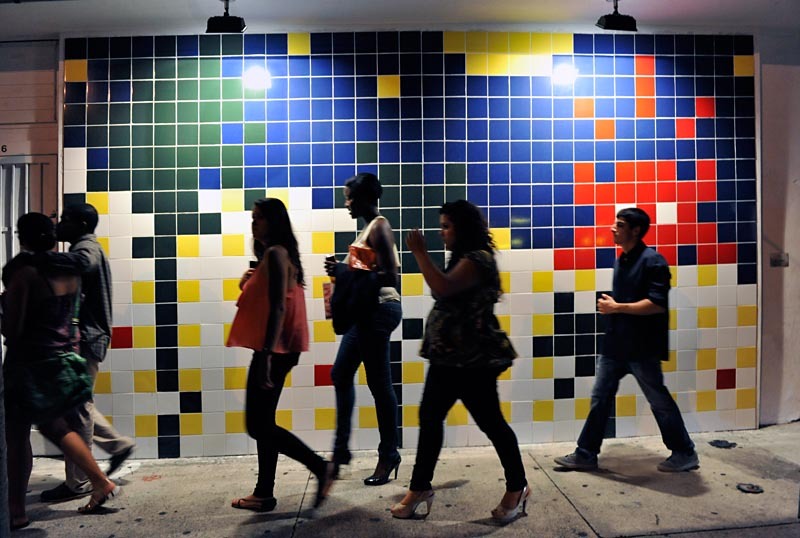 The Wynwood Arts District is currently entering our BID formation process. As part of this process, we will be entering an exciting new period in our urban development evolution. As a Business Improvement District, Wynwood will be able to develop its urban infrastructure and explore services that will ensure a safer and more pedestrian-friendly District. ArtPlace spoke with Jose Nava-Lujambio, Executive Administrator for the Wynwood Arts District Association, about the BID Formation Process and the importance of good relationships for the success of their initiative. ARTPLACE: Who outside your organization has been key to your ability to move your initiative forward? JOSE: In addition to the ArtPlace grant that we received earlier this year – which has been a catalyst to move our initiative forward – I believe the artists and local stakeholders in Wynwood have played a critical role in the progress of our initiative. Although the Business Improvement District is an effort that mainly concerns the local property-owners and stakeholders in the Community, it is because of the symbiotic relationship between local developers and the artists themselves that Wynwood has been able to grow and thrive. Their collaborative efforts, particularly visible in the Wynwood Walls and murals, as well as the prominent presence of many artist studios and galleries in the District has been key to the accelerated growth and evolution of Wynwood as we know it today. In terms of key players, Tony Goldman, Joseph Furst, and David Lombardi in particular have played a critical role in pushing the Wynwood BID initiative as they understand that the formation of a Business Improvement District in our community is the next step in the evolution of this neighborhood as it will be able to provide us the vehicle for making Wynwood a better place. Sadly, we recently lost Tony Goldman, but his vision will remain very much with us. David Collins, who we have hired as Director and Wynwood BID formation facilitator, has also been active for the past 6 weeks in meeting with 14 local property owners in order to inform them about our initiative, and there are many more meetings to come. Additionally, David made a BID presentation to the WADA membership, which was well received. ARTPLACE: Are there secrets to good partnerships? JOSE: I believe that education and transparency are fundamental components to good partnerships. In addition, the involvement of local stakeholders and the inclusion of their thoughts and perspectives will allow our initiative, the Wynwood BID, to be a true interactive partnership. Ultimately, our partners will come to believe in the Wynwood BID in direct proportion to the amount of input that they have toward the actual organization and its goals.